The teachings of this book have their basis on direct experiences of the Sage-author. It is due to this reason that every word, every sentence of this marvellous book enters right into the heart of the reader and has a message to transform his life. It is an inspiration to strengthen his steps to God-realisation. 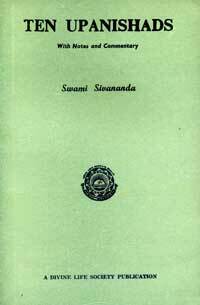 This book contains Yogasara, Vedantasara, Sivajnanamrita, Advaitamrita, Svarupabodha, Brahmarahasya, Brahmanubhava, Vicharabindu, Jyotirbindu and Anandabindu Upanishads, with Sanskrit text, notes and commentary. Rendered in a simple and lucid style, with many explanations.